I went to see Jessica because of the great reviews. It was my first time getting extensions, so, of course, I had some apprehensions. Jessica made me feel at home and now after four months of getting my extensions I must say she did an amazing job. The quality of her work is great. I will definitely go back to her. Jessica did an absolutely fabulous job with my extensions! Her consultation answered all of my questions thoroughly, and she walked me through the process in great detail. She was able to schedule my appointment on short notice, despite her busy schedule, and I couldn't have imagined better results. Her work is superb, and I would recommend her to anyone! Hey everyone interested in Hair extensions, Jessica was the most professional courteous hair extension artist ever! I have been with friends to see them get hair extensions by other people and i was never that blown away. I was skeptical about getting mine done for the first time but after meeting Jessica she made me feel so comfortable that I had no worries ! after getting them done I literally cried cause i was so happy with them ! I get compliments all the time on my hair people don't even know they are extensions ! If you are looking to get hair extensions please do yourself a favor and visit Jessica you wont regret it ! Thank you Jessica for helping me love my hair again your amazing xoxo ! this is the second time I've gone to Jessica for my extensions she's the only person I'll ever go to from now on! they are amazing they look even better then the first time I got them done! theyre so soft they do not look like extensions, they blend so well! I love them!!! just got my hair done for the second time and i love them even more than the first!!! we picked a lighter shade with some highlights and they look amazinggggg!!!!! I had gone to see Jessica for the first time in February upon a recommendation of a friend. I just moved to Toronto from San Francisco and was a little apprehensive being so new to the area. However I can genuinely say that my hopes and expectations were blown out of the water. Jessica did the most incredible, beautiful and precise job on giving me hair extensions. She matches the color to a tee and even did some lowlights with them. I can't say how much I love them and her work. She is an absolute joy to meet and truly loves her work. It shows. I highly recommend her and would send anyone I know to her. You just can't go wrong. Thanks so much ! I've had my extensions just over a month and I love love love them!! FAB-U-LOUS!! Jessica is amazing at what she does with hair and is professional and yet very personable. No one believes these are extensions because they're so much like my own hair (which is curly). They're easy to care for with Jessicas guidance and four months in I haven't lost an attachment! My hairdresser told me it's an excellent job!!! Love them!! Jessica did my hair extensions last week and I am so extremely happy! She did an amazing job - quick and efficient. But the best part isn't the hair extensions - it's Jessica herself! She is fantastic! Thanks so much!! I've had my extensions in for 2 weeks now and I 110% love them and am so glad I got them. They are so easy to maintain and I have received so many compliments on my hair. Good-bye clip ins, I'm never going back! Thank you Jessica for providing an affordable solution to those of us who suffer with terribly thin hair! Jessica is amazing, super friendly and professional. She made my experience comfortable and totally new what she was doing. Jessica is quick and efficient and there is no doubt I will be back to see her again. I must admit I was kind of nervous about doing extensions and how they would look and feel but, Jessica made me feel comfortable throughout the whole process. She really made the experience fun and exciting, She got the job done fast! I have had them for 2 months now and they still look like from the first day I got them in. Quality was great! I am looking forward to going back to Jessica. Jessica is really fantastic. She is honest about what she can do with your hair, is very gentle applying the extensions and is extremely professional. Mostly, she is incredibly passionate about what she does. Thank You Jessica! I got my extensions done back in October by Jessica. My hair still looks great! The quality of hair is excellent and so is the price! Jessica is a lovely person, she is very knowledgeable about the hair and professional. She is friendly and funny and makes you feel welcome! Along with doing a fantastic job! I got my extensions done by Jessica a couple of months ago and they still look amazing. I get so many compliments from people about my hair and how the color matches exactly. I will def. be going to Jessica to get my hair done again and I would recomend her to anyone who wants to get extensions. I went to Jessica on December 16th and although, she was totally booked out and had back to back appointments, she managed to squeeze me in and finished my hair for my birthday. Thank you soo much Jess! She's so friendly and has a bubbly personality. Talking to her, the time went by pretty quickly. If you are getting your extensions done for the first time, she gives you step by step instructions and walks you through the whole process! And for those who are wondering, extensions are completely painless. I had my hair done by Jessica a week ago and it looks absolutely fabulous! I have gotten so many compliments including that I look so much younger. She matched my hair perfectly. I've had short hair for some time so getting used to it will take a little time but well worth it. I got my hair extensions from Jessica about a month ago. She was very friendly and very thorough with her explanation of what having hair extensions would entail. At first i found them a bit hard to sleep with at night (hair in a braid obviously), but i think that was just my head adjusting to the new weight because now i sleep soundly and don't even notice them. They look great and blend very nicely with my hair colour and my boyfriend loves the way they look Great price too! I have told a bunch of my friends about Jessica and I'm looking forward to going to see her again. She's friendly and funny and does a great job of making you feel welcome. I have been getting my hair extensions done for almost 2 yrs now with Jessica and I absolutly love them! She's quick, fun and honest. The quality of the hair is awesome and you won't find a better price anywhere else. I had my extensions put in on December 1, 2011 and the whole experience was very positive. Jessica was honest, gentle and very careful with me as my hair is not only very fine, it's also quite thin. It took me a couple of weeks to get used to, but I have to say, I totally love my new flowing locks! Got my hair extensions done with Jessica last week,Dec 3rd, and I am very impressed. She was done within 2 hrs, and my hair looked amazing. Her great personality made time go by faster. She's super sweet and nice, and I'm glad I got my hair done by her. I love my hair extensions ! They are by far the best i've ever had put in my hair .The first application Jessica did lasted six months ! The hair quality is so good ,and you couldn`t find anyone better to apply them . Thank you, Jessica for my beautiful new locks...It is hard to believe how you can personally accommodate so many women with kindness, and expert advice. You are such a hardworker, but truly enjoying your job. I am still adjusting to my new hair, but I love it! It is definitely a money-worth investment. Thanks, Jess. I absolutely love getting my fusion bond hair extensions done by Jessica because she makes sure that you hair is styled the way you want it to be, and she takes the time to do it right. The previous time I got my hair extensions done here they stayed for 5 months and I was very pleased with the service. Amazing service, quality and colour matching! In just two hours I had beautiful, long extensions with fantastic colour matching to my lowlights and highlights. Nobody could tell that the extensions weren't my own hair and even my hairdresser was totally impressed with Jessica's work. P.S. Like I said yesterday, my girls loved it and will be calling you soon! Jessica is so great! She is very knowledgeable and very professional. My hair looks great and is so comfortable even after weeks after putting the extentions in. The hair is wonderful quality and feels just like my own. jessica did my hair for the first time two months and I was absolutely pleased. I was getting my hair done by the same girl in california for over a year and had in hairlocs. I was a little nervous to try the bonded extensions when i first switch but jessica did a fantastic job and have never been so happy with the end result. i will never go back to using hairless again. i highly recommend jessica and am very thankful to have found her. I had fusion extensions put in on August 31, 2011. I was a little worried at first but Jessica made me feel comfortable and did an amazing job with the extensions. It blended amazingly with my natural hair and I received many compliments on how amazing my hair looked. I will definitely be referring others to Jessica. PLATE##images/emoticons/inlove.gif" border="0" alt=":!inlove:" title=":!inlove:" /> THANKS!!!! I have been a client of Jessica's for about 2 years now. Every time she does my extensions I always leave very pleased with the end result and that is why I keep coming back to her. She takes her time matching your hair colour with the extensions and does a thorough job of putting them in. 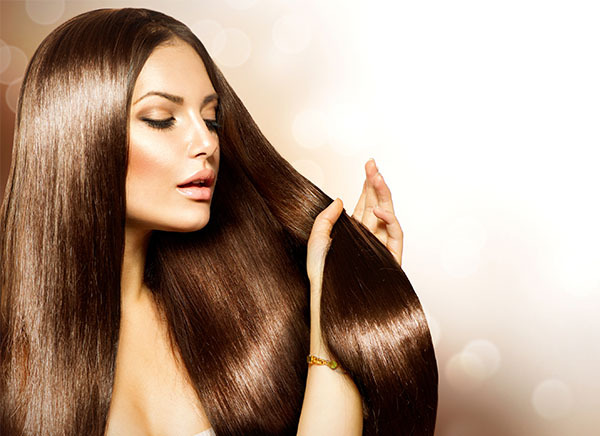 She is very professional and offers helpful advice about the hair extensions, especially if it is your first time having them done. I highly recommend Jessica Hair to everyone because the extensions look superb and it gives you confidence having long, luscious hair that you can show off and be proud about! I came all the way from Whitby to see Jessica, and let me tell you it was worth the travel time! She did such an AMAZING job color matching the extensions to my own hair. People were shocked to see how well the color was matched! She finished my hair in just about 2 hours and she was so sweet and professional. What an amazing job, I LOVE LOVE the extensions they look fabulous. They don't tangle at all (unlike the Salon kind I got before). Definitely coming back, and definitely recommend Jessica! See you soon! I absolutly love the extensions I got for my wedding day! You matched my colour so well (which isnt an easy task considering all the highlights)and the length and thickness made me feel so beautiful on my big day! Not to mention my new hubby loves the long hair! I cant thank you enough for convincing me to do the fusion extensions - I will be back in December! I got my hair done by Jessica about a month ago. Now my hair is THICK and I had my worries that the extensions wouldn't blend well in my hair.. well I was wrong and they look incredible! She did my entire head in about an hour and a half, and her fun personality made it fun to be there. I would HIGHLY recommend Jessica , and will definitely be a returning client. So last week right after I had my extensions done by you I went to my hair stylist at a ritzy salon in Yorkville to blend my hair...she was raving about the quality of work you did! You lined up the extensions perfectly and the color matching is incredible! Its been a week now and i'm still loving them, people keep telling me they can't believe how long my hair is...they have no idea i'm wearing extensions! My hair looks and feels amazing! Jessica is truely the best. You are an absolute doll! I LOVE my extentions. My SEVEN rows are a perfect colour match and after washing the 'barbie ' out of them the thickness is lucious! I could never recommend you highly enough. See you in a few months. Jessica is not only a great stylist who gives you what YOU want but she is a total sweetheart. She will do everything she can to make sure you are happy and feel beautiful. Her prices are SO reasonable and her work is flawless. Jessica has humility and she truly cares about every one of her clients. Contact her with confidence. I was EXTREMELY happy with my hair extensions that Jessica did for me. She is very knowledgeable and has an informative website. I did a lot of research on hair extensions. I was happy I chose her over any salons. She is very easy going and a nice person. She answers your questions and knows her stuff. She is very fast with her work too. I LOVE it! I felt so comfortable. It didn't feel like a stuffy salon, but very easy going and nice atmosphere. I would highly recommend Jessica hair Extensions. I love my hair. I wanted to say you thank you so much for doing an amazing job on my hair. I got my hair done last week and I am in LOVE! They look and feel amazing. This was my fourth time getting extensions, but the first with Jessica. She is so talented and I will definitely be back again. I had a short bob and was concerned they wouldn't look natural, but I have received so many compliments on how great they look and how they match my natural hair colour. I did have to get them cut a little to blend with my hair, but I couldn't be happier. Thank you so much for my hair! it looks and feels great! i will definatly see you again.. in a few months! I did not forget to write something! In fact, I beat Erika to it. Haha. This would be my 4th time getting my hair done by Jessica. Each time I have absolutly loved it, and I am EXTREMELY picky with my hair! I got my hair done by Jessica yesturday (July28th). It was a great experience. I can now understand why it can take a few weeks to get an appointment it's well worth the wait. I was a hair extension virgin up until yesturday and I honestly think I am in love. The extensions look so natural and I LOVE them. I've wanted to get them for years, but salon prices are way to much for me, so when I saw Jessica's site and her prices I was sold. Her shop is in a basement of a house which to me didn't matter. I'm not looking for a salon atmosphere, I just wanted a good job. Anyhow, Jessica was really easy to talk to and did a great job on my hair. I feel sexier and love my beautiful long hair!!! See you in 4-6 months Jessica! Wanted to thank u for fitting me in ! I have been your client for more then two years ! You always do such a great job on my hair !!! People think it's real till today )))... I get asked what products I use cause it looks Sooooo thick and healthy all the time!!! I love my hair! This is my second time coming to you and will not be my last! Your not only great with hair your so easy to get long With and talk to! Always a comfortable and welcoming experience with you. See you soon. I love love love my hair !!! Your amazing Every time !!! U make me so comfortable ))!! Your so sweet and honest )! You colour match hair so well and your super fast ! Jessica your the BEST!!! My hair got so thick after I wash it the first time ... I am speechless on how good u are in your field !!! U know u have me for life . I just wanted to let you and everyone know that I LOVE MY EXTENSIONS. I don't have them in now, but I had them put in by you two times last year and they were perfect. Everyone always complimented my hair and after getting them layered by my hair stylist, they looked so natural and flawless. I will definitely be coming back to get them in again! They are so easy to maintain and style and I especially loved the fact that you are so warm and friendly ? Love blessings to you and yours! I just wanted 2 say thank u sooooo much for the Job u did I think it's amazing and u were a complete sweet heart. U do such an beautiful job it really looks like it's my hair and I just love it. Now my mom told me she is not going 2 cut my hair anymore because she loves the way I look with long hair. I apologize about not writing to you sooner. I wanted to let you know that I LOVE MY NEW HAIR!!!!! I had my extensions cut a wee bit and my hair is just perfect – thanks to you. I am taking VERY GOOD CARE of ‘your’ extensions ( I call them my Jessica hair) I May have paid for the extensions but they will always be ‘yours’ and I will not let my Jessica hair ‘down’ – in a manner of speaking (haha) I am only washing my hair every 3-4 days, in the shower and am very diligent about the way I wash my …errrr…I mean ‘your’ hair. My friends think I look ‘mahvelous dahlink’ and I owe it all to you. Thanks so much Jessica. You are a sweet and wonderful person and I hope that this is just the beginning of a longer hair relationship. Hi jessica I went to dbk salon near my house. She blended it dry and it looks good. She said its good hair too! So thank you. I just curled it (didn't wash) and put it in a side ponytail--it looks amazing! Thank you so much!! I don't know what to say. I LOVE MY HAIR!!!!! And I love the cut that Francis gave me. The extensions are the BEST!!! I've gotten so many compliments! And I owe it all to you. U are the best Dear Jessica. I couldnt be more happy I found u. U are the best, the hair quality is the best, u are doing a verry good job. Keep on going like this. Thank u. Thank You! Great quality hair, silky and has a great shine. I can style it just like my own hair.